Lake Ontario is located in the St. Lawrence Lowlands physiographic region of southern Canada and northeastern USA. In 1992, about 2000 km of high-resolution seismic data and six piston cores were acquired in western Lake Ontario. Additional seismic profiles and piston cores were acquired in 1993 and 1994. 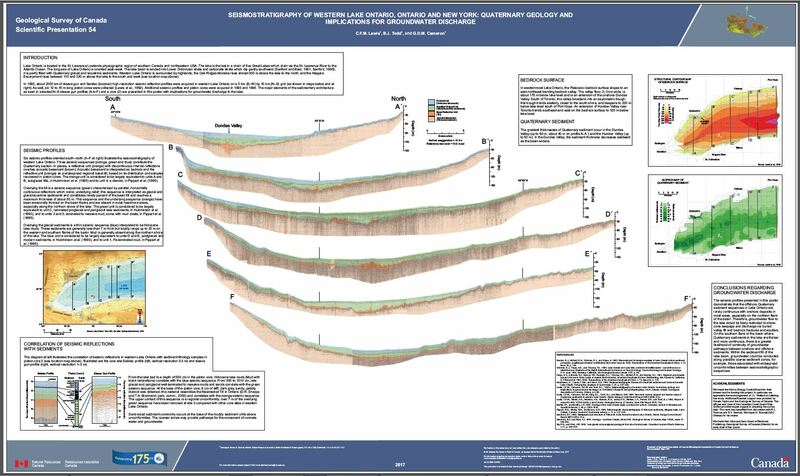 Using these data, the major elements of the sedimentary architecture have been mapped and are presented in this poster with implications for groundwater discharge to the lake.